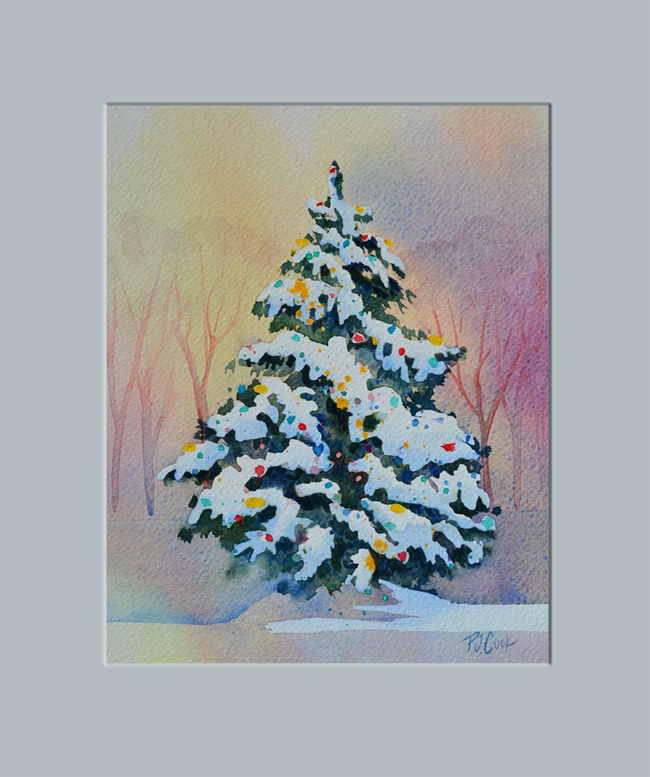 My latest painting for the holidays is a Christmas tree painting snow scene done in watercolor. This snow laden evergreen has colorful lights on the tree. The background features a colorful glow with woods. The size of this painting is 8.5″ x 11.5″ and will fit in a 11 x 14″ ready-made frame that has an inner mat. Great for your holiday decor.